As Week 1 of the NFL draws closer, you might find yourself in search of someone to handle your kicking duties for your fantasy football team. While playing the waiver wire in hopes of finding a kicker that will strike gold might be a frightening prospect for some players, others find it exhilarating to find a diamond in the rough each week. If you are a part of the later group who is a fan of streaming your fantasy football kickers, allow me to help you by using some odds from Las Vegas. 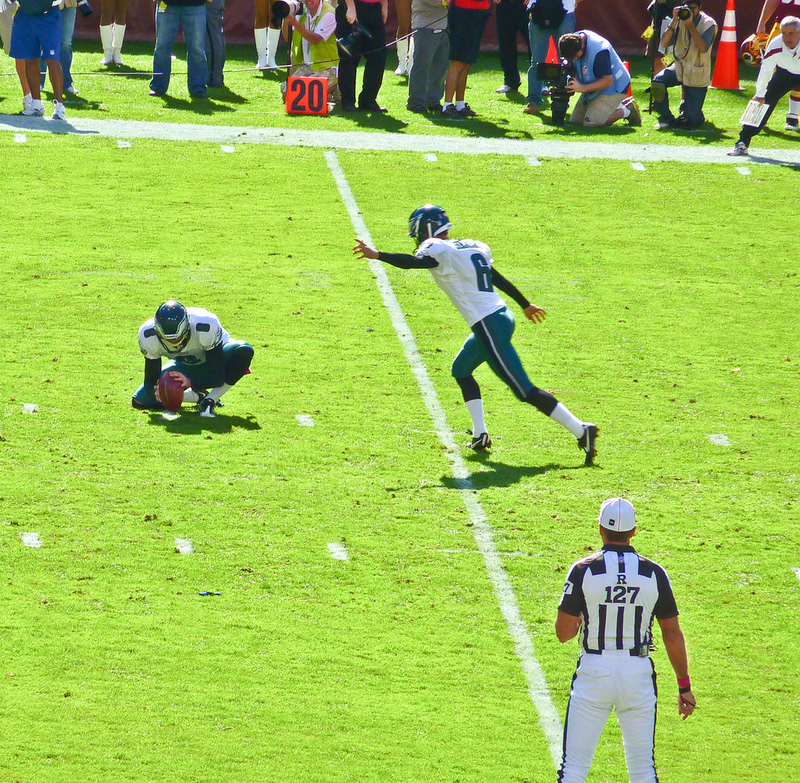 Many fantasy owners will look towards kickers who play for a high-scoring offense, but finding a kicker in a game projected to have a relative low score can give you an advantage. I present you with a mix of choices to help your streaming selection in Week 1. My beloved Jets have improved on the offensive side of the ball, but I don’t think that they will be able to shake the first game jitters and score touchdowns on a consistent basis in Week 1. The Raiders’ defense has looked extremely improved in the preseason, and I think that they will come to play and force the Jets into many 4th and long situations, which lines up perfectly for Folk to have a decent fantasy day. Folk finished 11th in total points for kickers in 2013, but finished 4th on points strictly from field goals. Gano quietly had six games of double-digit fantasy points last season, and might be an interesting play based on the quarterback situation in Carolina. All signs point to Cam Newton (rib injury) being healthy enough to start Week 1, but if back-up Derek Anderson has to step in, Carolina could finish off more drives with field goals as opposed to touchdowns. Gano is currently going undrafted in most ESPN Standard Leagues, while kickers who scored less fantasy points than him (Blair Walsh, Greg Zuerlien, and Matt Bryant) are still being drafted. Any kicker that is in Peyton Manning’s offense is a good play in my book. While the line might suggest that few field goals will be kicked by the Broncos, I could see one or two drives stalling out, and McManus’ total fantasy points would have a chance to increase. While McManus’ should have no value after Matt Prater returns from his four-game suspension in Week 6 (the Broncos have a bye Week 4), he is projected to obtain 36 points in a 4-week span with the Broncos. Not bad for a waiver wire pick up!